A birthday wish to a true master If you saw the google homepage yesterday, you might have recognized a familiar face. 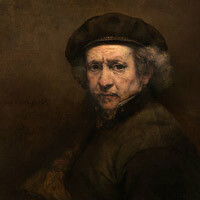 Rembrandt Harmenszoon van Rijn is known as one of the greatest painters and printmakers in Dutch and European history and yesterday he would have turned 407 years old. So from all of us at…..